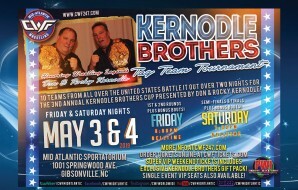 +	Kernodle Brothers Tag Team Tournament with HUGE Stakes!!! 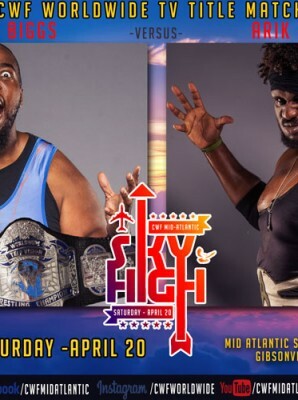 +	The Risks and Rewards are SKY HIGH on April 20th! 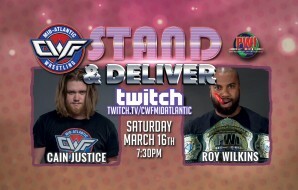 +	It’s Time to “Stand & Deliver” for Champions this Saturday Night! 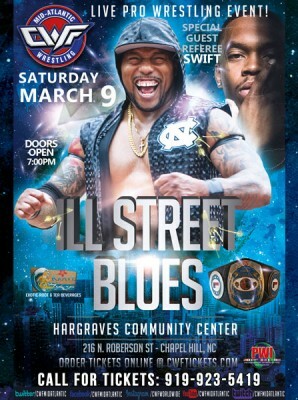 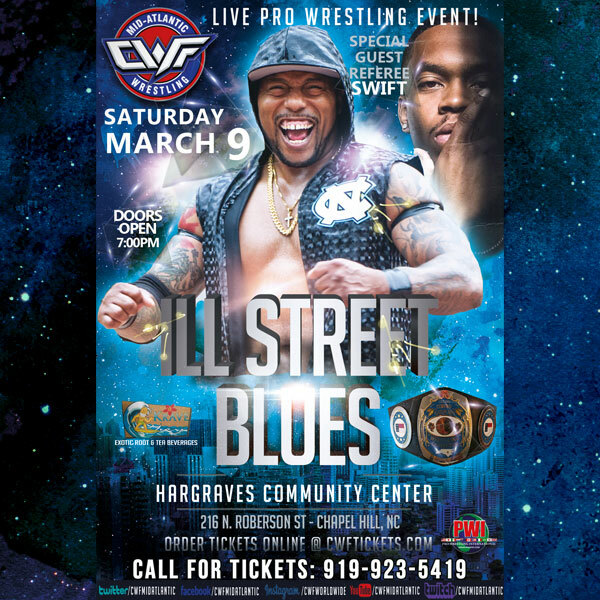 +	Don’t Miss “Ill Street Blues” This Saturday Night in Chapel Hill! 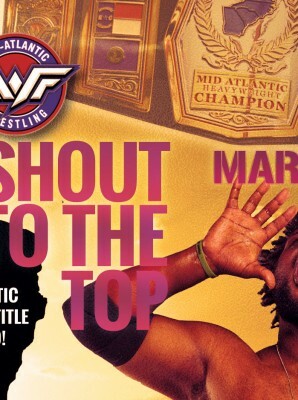 +	Shout to the Top! 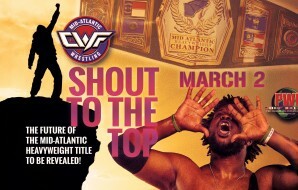 The Future of the Mid-Atlantic Title to be Revealed! 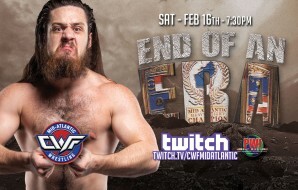 +	End of an Era – Is This the End of the Trevor Lee Era? 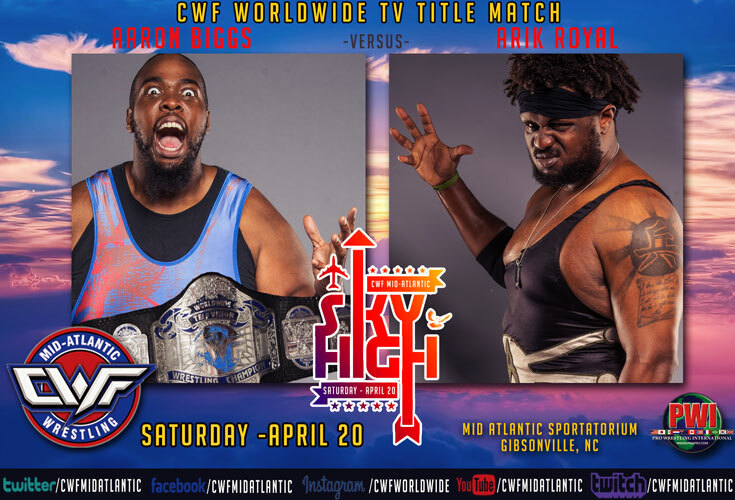 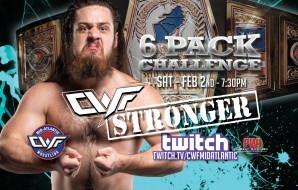 +	CWF STRONGER to Feature 6-Pack Challenge for the Mid-Atlantic Hwt. 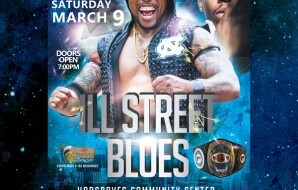 Championship! 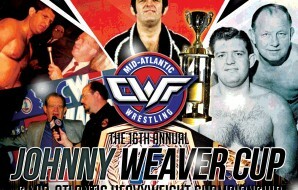 May 3 & 4 will also feature Don Kernodle's 69th Birthday Bash!! 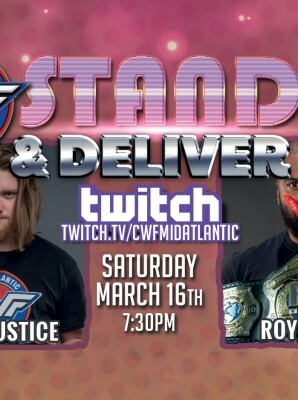 May 11 - RGL "The Wild Bunch"
May 18 - CWF "80s Night 2 - Electric Boogaloo"
June 1 - CWF "Absolute Justice 2019"